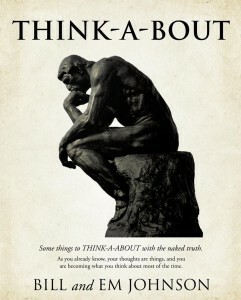 Bill and Em Johnson’s new book, THINK-A-BOUT, gives its readers the opportunity to reflect on positive times and/or things from the past. The book’s mission is to help people realize the many (often overlooked) blessings in their lives. At the same time, the authors also prepare readers for the limitless positive minutes, hours, and days ahead.